This episode features cookbook author and recipe writer Martha Collison, whose career launched years ago on Great British Bake Off and who continues to be a baking rockstar. There’s also a cameo by the wonderful Rachel Khoo at the top of the episode! 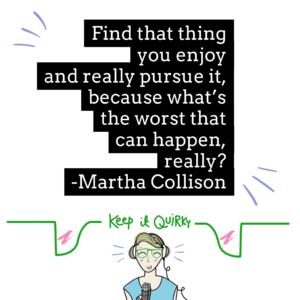 Martha was recommended to me by one of YOU (hi!) to be a guest during my author series of interviews. Martha is awesome. At 17 years old, she was the youngest person ever to compete on the Great British Bake Off – and not only compete, but she was a finalist! (It’s called the Great British Baking Show in America). 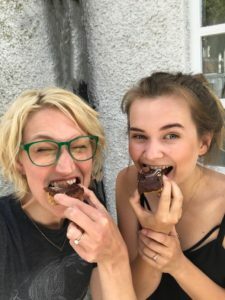 We chat about how she gets inspiration for new recipe ideas, she reflects on her time on the Great British Bake Off, and we talk about good ol’ imposter syndrome. She also talks about how she sees social media impacting her career and the value of pursuing your passions, whatever your age.